There is a lot to think about when building commercial buildings and roofing is one of them. 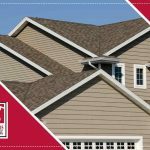 There are plenty of roof replacement services you can take advantage of to bring your dream property to life, but before all that, you need to zero in on the best roofing option for you, starting with understanding what built-up roofing has to offer. 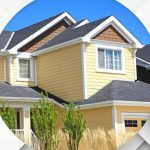 Built-up roofing (BUR) is one of the most used types of roofing around, perfect for flat roof surfaces or low-slope roof styles. 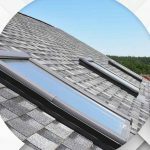 It is usually called “tar and gravel” roofing and dates back to the 1800s making it the oldest form of modern roofing a licensed roofing contractor can use. It is made up of layers of material which are laminated together. These materials may vary but generally have four components. There is the base sheet which can be a fiberglass or asphalt-coated venting sheet. Then a felt or fabric-like layer followed by bitumen, which can be asphalt, coal tar or lap cement. 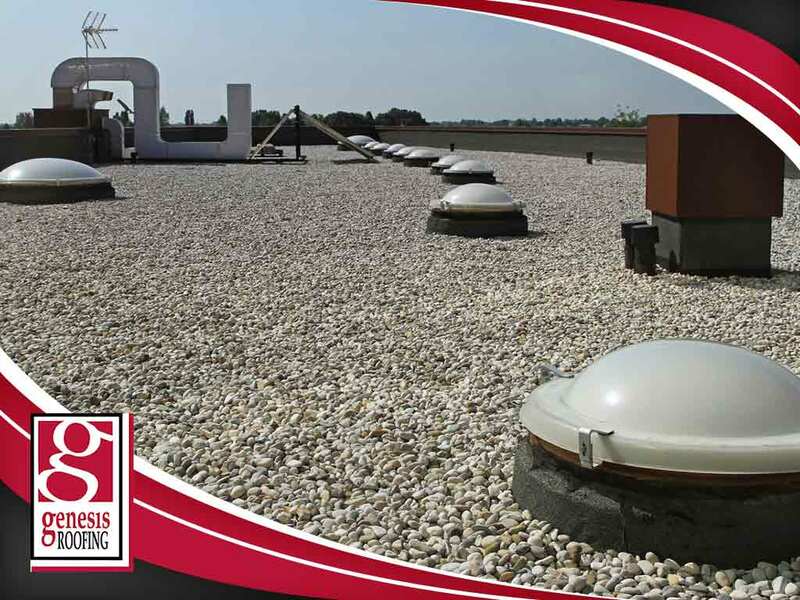 Lastly, the roofing system is topped with a surfacing component like gravel or asphalt. Having these in layers add protection, making it suitable for harsh weather conditions. BUR has a lot of advantages like durability, versatility and longevity. 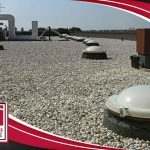 These kinds of roofs are able to withstand immense surface wear and tear, and higher foot traffic. The many layers create added reinforcement and leak prevention. Layering materials with a water-resistant material like asphalt provide BURs a longer service life giving you more bang for your buck. With the right substrate, BURs can be installed easily. Not to mention that this kind of roofing can be used as part of a total fire-, wind- and hail-rated system. 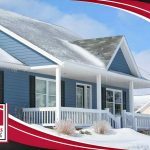 To learn more about what built-up roofing can do for you, just give trusted roofing company Genesis Roofing a call at (515) 200-1973 or fill out our online contact form. We serve Clive, IA and the surrounding communities. Ask us for a FREE estimate today!